Dendropanax morbifera Léveille has been employed for the treatment of infectious diseases using folk medicine. In this study, we evaluated the antioxidant effects of a leaf extract of Dendropanax morbifera Léveille in the hippocampus of mercury-exposed rats. Seven-week-old Sprague–Dawley rats received a daily intraperitoneal injection of 5 μg/kg dimethylmercury and/or oral Dendropanax morbifera Léveille leaf extract (100 mg/kg) for 4 weeks. Animals were sacrificed 2 h after the last dimethylmercury and/or leaf extract treatment. Mercury levels were measured in homogenates of hippocampal tissue, a brain region that is vulnerable to mercury toxicity. In addition, we measured reactive oxygen species production, lipid peroxidation levels, and antioxidant levels in these hippocampal homogenates. 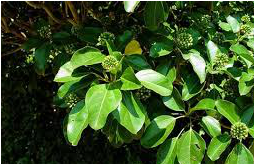 Treatment with Dendropanax morbifera Léveille leaf extract significantly reduced mercury levels in hippocampal homogenates and attenuated the dimethylmercury-induced increase in the production of reactive oxygen species and formation of malondialdehyde. In addition, this leaf extract treatment significantly reversed the dimethylmercury-induced reduction in the hippocampal activities of Cu, Zn-superoxide dismutase, catalase, glutathione peroxidase, and glutathione-S-transferase. These results suggest that a leaf extract of Dendropanax morbifera Léveille had strong antioxidant effects in the hippocampus of mercury-exposed rats.